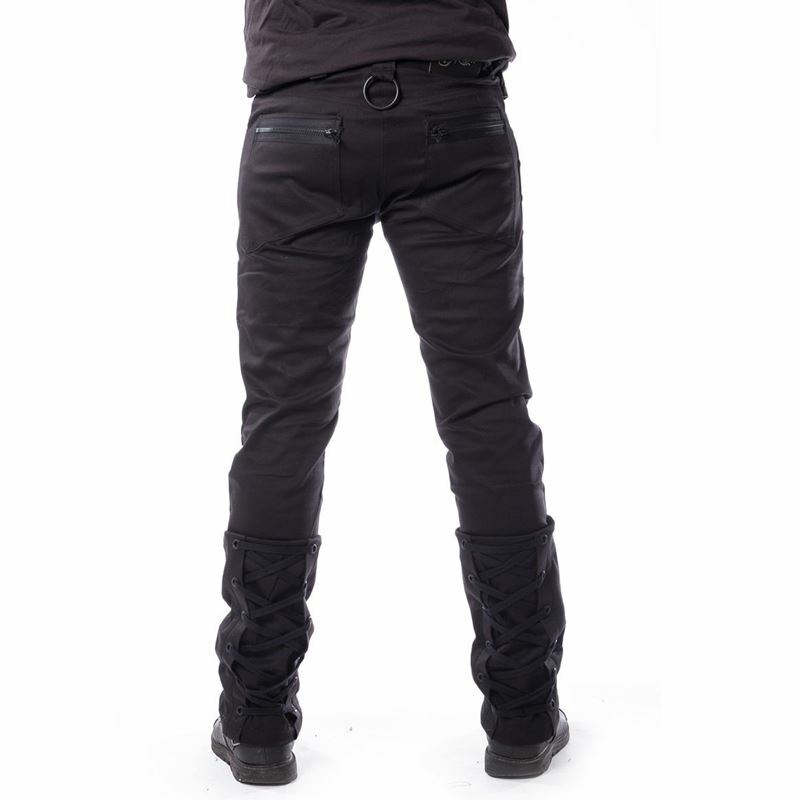 Alternative straight leg black trousers, made from stretch cotton. Waistband with button fastening and belt loops. Lacing Details. 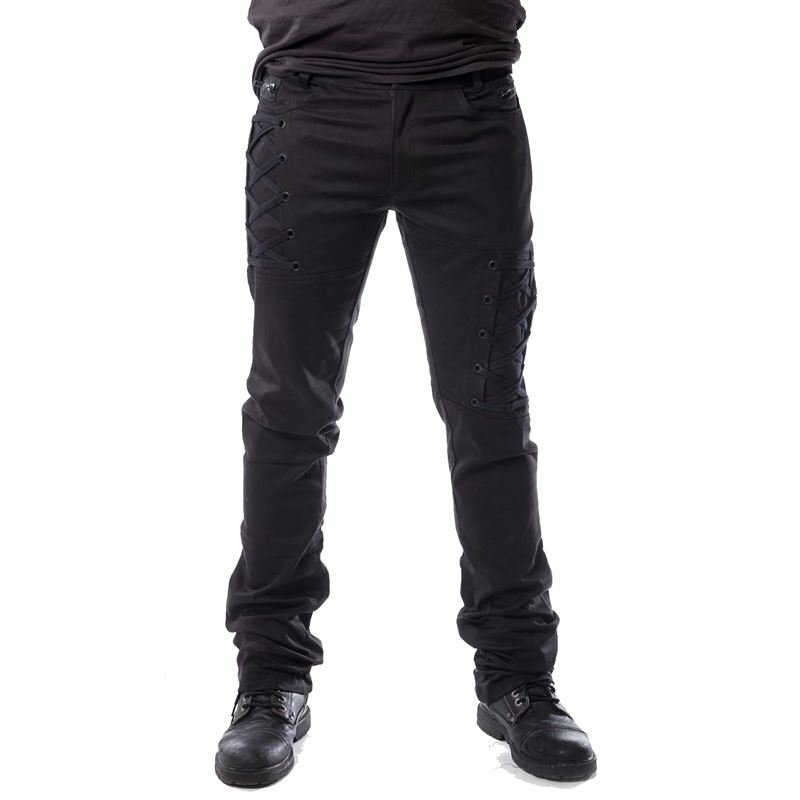 Back pockets with decorative zips.